All our furniture is handmade and hand-painted, from all over the world. Please if you have any questions or you need more information about any of our products, feel free to contact us at 1-(412) -412 -4200 or through e-mail at GlobalMarketRet@aol.com. We will be more than happy to provide you with all the necessary information. Thank you. * First we like you to check with us either through email at globalmarketret@aol,com or by calling at 412-421-4200, if the item you looking to purchase still available. 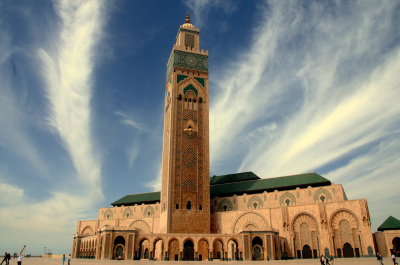 Based on the item weight, size, and the zip code of the destination will calculate the shipping cost and let you know. -1 You have 3 days after you receive your order to check it and get back to us if there is any dammage or defect. 2- Please make sure to call us before sending the item back and will let you know what you need to do in case of a dammage. 4- If the item is dammaged, please make sure to take picture of the item and the packing materiel , we need that to back up our claim with the shipping company. there will be a restocking fee equal to 15% of the itemsubject of return. Handmade, hand carved side table. Made of Rosewood. Handmade, hand carved side table with brass inlay on the top. Made of Rosewood. Mahogany wood Night Stand with embossed metal panels and glass top. 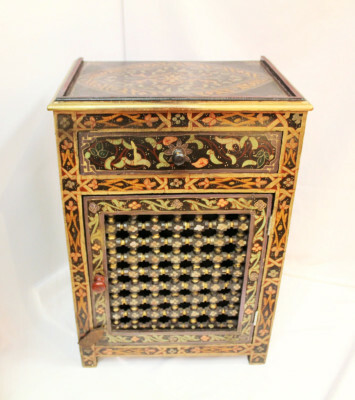 Hand-painted solid wood nightstand from India with embossed metal work on the top and sides. Handmade, hand painted, solid wood side table. Hand painted solid wood side table. Hand painted and hand carved night stand with elephants. Handmade, hand painted cabinet with a drawer and a door. 1 shelf. Solid wood. 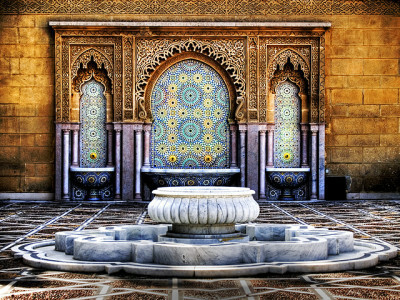 Handmade hand painted side table from Morocco. Hand painted low table from India. Size: 16 x 16" x 6"
Hand embossed brass tray table with hand carved folding legs. 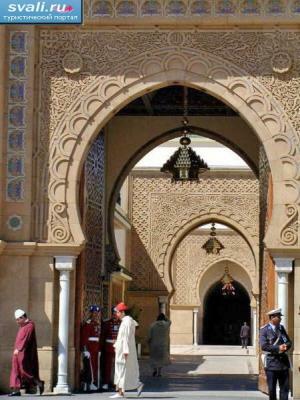 From Morocco. Handmade hand painted night stand From Morocco. Handmade hand painted mosharabi night stand From Morocco. 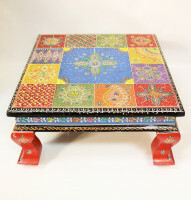 Size: 13 x 17 x25"
Low wooden table from India with hand painted inlaid tiles. 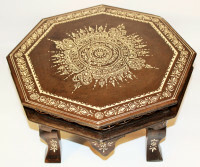 Size: 16 x 16" x 6.5"
Size: 18" x 18" x 6.5"
Handmade sheesham wood low table from Thailand. Handmade Mahogany wood coffee table from India with 2 drawers and metal accents. Size: 35" x 22" x 16"
Size: 25" x 15" x 28"
Handmade wine cabinet from India. Solid Wood with Metal Accents. Size: 28" x 28 "
Wall Mount Cabinet with 3 drawers and 3 hooks. Solid wood. Hand painted. Size: 15.5 " x 15.5" x 20.5"
Size: 13.5" x 13.5 "